Eric Sahlström (1912-1986) did more than anyone else in this century to spread the nyckelharpa and its music to all parts of Sweden. He also breathed new life into the nyckelharpa tradition through technical improvements on the instrument and through his many compositions. 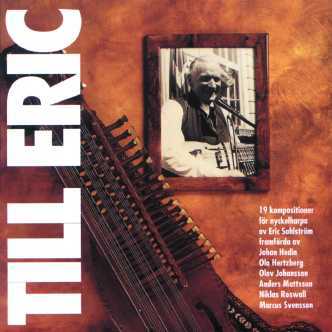 On this CD six young nyckelharpa players show that Eric's music is still very much alive. Johan Hedin, Ola Hertzberg, Olov Johansson, Anders Mattsson, Niklas Roswall and Marcus Svensson play Eric's compositions in their own arrangements, with both ensemble and solo playing.